When you are relaxed, your body is in a better position to heal itself. That’s why your visits to Back to Basics won’t feel cold or clinical. In our friendly environment, with its warm earth tones, we want you to feel at home, not intimidated. For individual therapy, you’ll have one-on-one attention from experienced, licensed therapists – in comfortable, private rooms. You’ll also have access to an intimate gym for muscle reeducation work, the exercise portion of your therapy. At Back to Basics we give you extra attention and we give you your space. Your health and wellness aren’t just important to us. They’re important to those who care about you and depend on you. As a family- oriented health provider, Back to Basics knows the power of relationships. That also includes our one-on-one relationship with you, as well as our relationships with your general practitioner, OB-GYN or any other referring Physician. We all work best when we all work together. 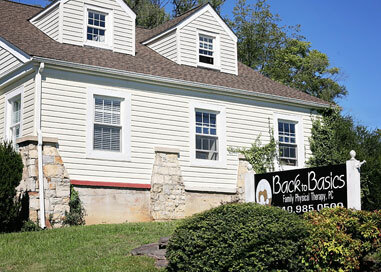 Copyright © Back to Basics Family Physical Therapy, PC. All rights reserved.